WAIST HIGH: Let The Year Of The Reunion Begin. Let The Year Of The Reunion Begin. 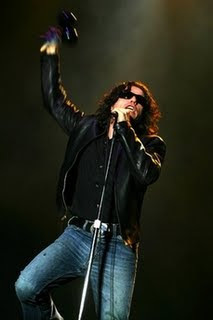 Singer Ian Astbury is to relaunch his 1980s group The Cult after leaving the new incarnation of rock band The Doors. "I have decided to move on and focus on my own music and legacy," said Astbury, 44, who replaced the late Jim Morrison in a new version of The Doors in 2002. He performed with original Doors guitarist Robby Krieger and keyboard player Ray Manzarek in the group. Astbury will now relaunch The Cult with guitarist Billy Duffy.